College students around the world are strikingly similar in how they use media – and how ‘addicted’ they are to it, according to a global study of university students by the International Center for Media & the Public Agenda (ICMPA) in partnership with the Salzburg Academy on Media & Global Change. The ICMPA-Salzburg Academy study asked close to 1,000 students in ten countries on five continents – from Chile to China, Lebanon to the USA, Uganda to the United Kingdom – to abstain from using all media for a full day. After their 24 hours of abstinence, the students were then asked to report their successes and admit to any failures. In aggregate, the students from a dozen universities wrote close to half a million words – or about the same number of words as Leo Tolstoy’s War and Peace. Take a look at what these university students from the United States, Latin America, Africa, the Middle East, Europe and Asia had to say about their struggles to go 24 hours without media. See the top fifteen highlights of the study below, and browse inside for more details. Click here to read these highlights in Spanish/Clic aquí para leer estas destaca en español. 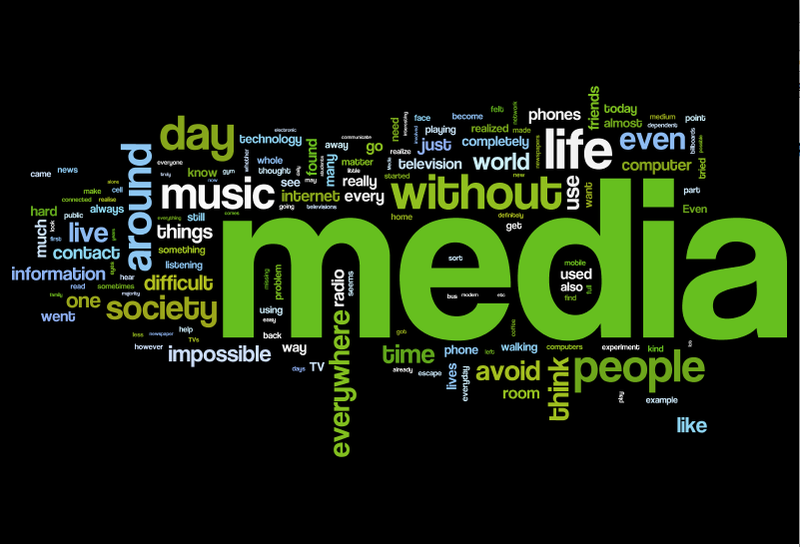 Students’ ‘addiction’ to media may not be clinically diagnosed, but the cravings sure seem real – as does the anxiety and the depression. A clear majority in every country admitted outright failure of their efforts to go unplugged. Students reported that media – especially their mobile phones – have literally become an extension of themselves. Going without media, therefore, made it seem like they had lost part of themselves. Students around the world reported that being tethered to digital technology 24/7 is not just a habit, it is essential to the way they construct and manage their friendships and social lives. Students construct different ‘brand’ identities for themselves by using different communication tools to reach different types of people. For many students, going without media for 24 hours ripped back the curtain on their hidden loneliness. Many students, from all continents, literally couldn’t imagine how to fill up their empty hours without media. Mobile phones function both as this generation’s Swiss Army knife AND its security blanket. What is ‘news’? To students, ‘news’ means ‘anything that just happened’ – worldwide events AND friends’ everyday thoughts. TV is all about escape. Across the world, students depend on music not only to make their commutes to school and work more tolerable, but to regulate their moods. ‘Simplify, simplify.’ Across the globe, some students turned out to be Transcendentalists-in-the-making: they noted that they ‘were able to revert to simple pleasures’ when they gave up all media for 24 hours. Click here to go to the Study Conclusions page, and read the lessons of this study for students, universities, media entrepreneurs and journalists. You may also want to click on the country pages, accessible via the top tabs, to see specifics about how students in each country reacted to going unplugged for a day. 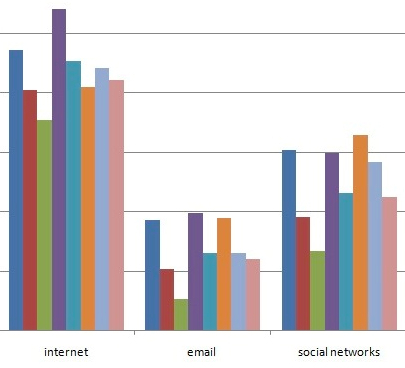 The study results are also broken down on the top tabs by what students said about how they use specific media – mobile phones, social networks, news outlets, etc. – and what students said about how they felt going unplugged – their emotional responses, such as feeling isolated, bored, as well as relieved. The header ‘keyboard’ photo is taken by Anam Shahid.